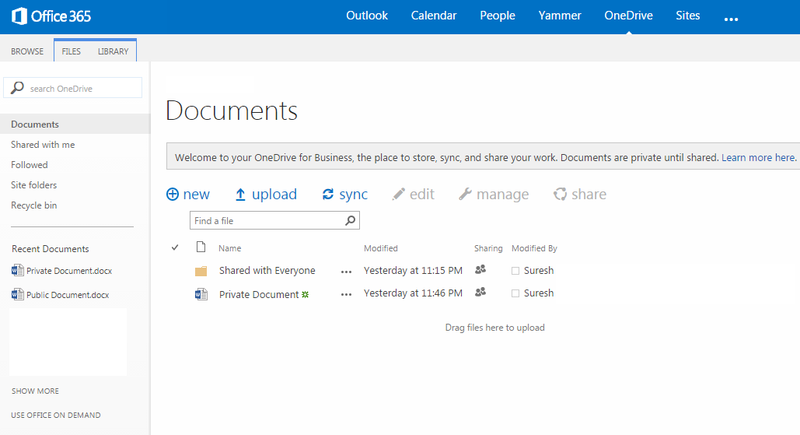 What is OneDrive in O365? When I took the trial subscription of O365, the first thing which caught my attention was OneDrive. This post is all about OneDrive, its features, and how it really helps users specifically. If you are familiar with Google Drive or erstwhile Sky Drive, you already know what OneDrive is! It is a cloud storage drive for your documents. Instead of storing your documents in your laptop/desktop, you can basically store it on OneDrive. The biggest advantages are that you dont have to carry the data with you. It's available somewhere else and you can connect to your data from anywhere and anytime. You don't have to really bother about losing data because of your system crash or virus. Another notable feature is you can decide to keep your data private or share with others. 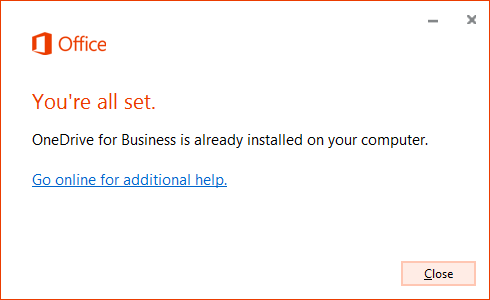 When you connect to O365, OneDrive link is visible evidently on suite bar as shown below. When you click on it, you'll be taken to a document library called "Documents". Few things to be noted here. This is just a document library. By default, a folder will be created as "Shared with Everyone". In the left navigation bar, you have the search facility to search for documents within OneDrive, some views, and the recently uploaded documents. There is a message just before Documents which says "Documents are private until shared". This is one interesting stuff which I'll explian in a while. If you upload a document on to root folder of this library, this document will be private. That means, it is available only to you. If you want to share a document with everyone, you need to upload the document to "Shared with Everyone" folder. How does it work? It's simple. This folder has unique permission and permission is granted to a domain group "Everyone except external users" with "Contribute" permission. Do note that it is Contribute permission. So others will be able to modify the content. Another interesting point here is even if you do not have Office client installed in your machine, you can start using OneDrive. 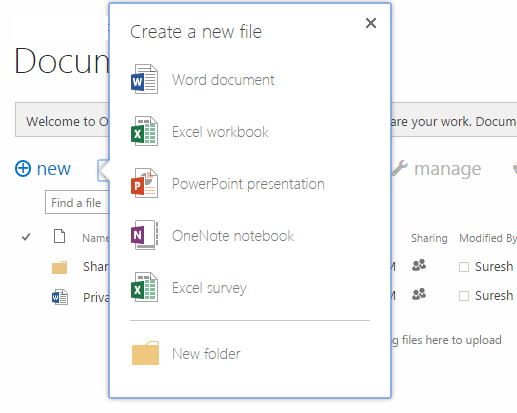 When you click on "new" button, you will get options to create Office files. 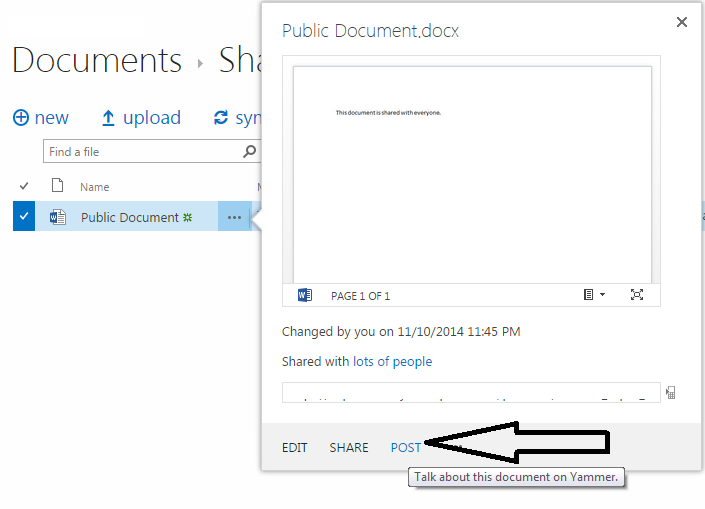 Another interesting feature is you can share your document in Yammer to initiate a discussion around the document. Only document link gets posted in Yammer and not the document itself. It is obvious that you need to post only for the documents which are accessible by others. You can also sync your files to your machine for offline work. When you click on Sync button, you will be prompted to get the app. Click on the link and it takes you to the site to install a sync app to your machine. After I installed this App, I could not make out where exactly this is installed in my laptop. Surprisingly when I clicked on Sync now option, it launched SharePoint 2010 Workspace (I still need to figure out why this is getting launched)! That was indeed an akward moment. I had earlier installed SkyDrive Pro App for sync operation. 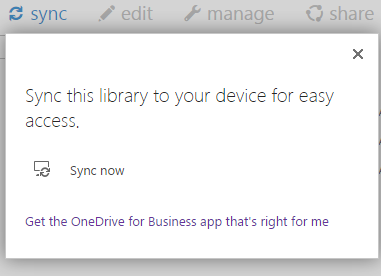 I opened that app and I could able to sync OneDrive documents to my local drive. So your O365 OneDrive which is stored in http link is synced to your local drive, say, C:\OneDriveFiles. Another notable feature here is this sync is two-way. I just copied one file to my C:\OneDriveFiles folder and within few seconds it got automatically uploaded to OneDrive! That's cool, isn't it?! This OneDrive is basically a part of "personal" site. So every user of O365 will get OneDrive and it has its own storage limit (1TB for certain plans). Further information can be found here. That's it for now. As I explore further and if I find any interesting stuff, will share again! Happy OneDriving!